Our goal at Wealth Resources Network is to help you reach your financial objectives. It is our desire to become your trusted Wealth Advisor guiding you through our personalized Financial Advisory and Coaching process so you can focus on your circle of wealth. We believe that wealth is made up of more than just money. 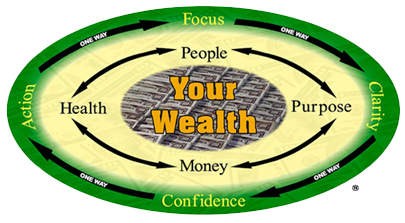 Your circle of wealth is made up of the people in your life, your purpose in life, your money, and your health. It is our belief that a balance is needed to live a truly wealthy life. Wealth Resources Network is a Financial services firm located in Liverpool just outside of Syracuse, New York. We believe it is our ideas, information, guidance, and insight into your needs that earns us the privilege of doing business with you. Thank you for taking the time to consider Wealth Resources Network as you plan for your future.